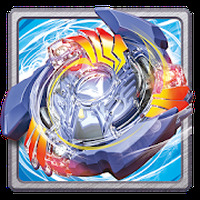 BEYBLADE BURST app Android - Free Download BEYBLADE BURST app App - Hasbro Inc.
"Customize your Beyblade and defeat your rivals!" Game Goal: Beyblade Burst is a digital version of these spinning tops where you have to fight one on one duels against other beyblades to be the best. Game Goal: Show off your skills in tournaments and battles full of famous Beyblades. How to Play: Each beyblade has unique special attacks and you'll have to use your aim to launch and battle your opponent, if you win you get rewards for improvement with other pieces and colors. How to Play: Defeat your enemies by tapping the right time to launch special powers to Bleyblade in every battle. 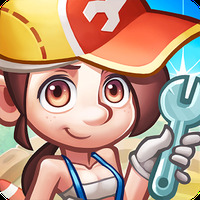 Game Options: You can play offline or challenge real people in online multiplayer mode. Graphics: The game has simple graphics, animations and many special effects. The highlight is the third-person camera. Graphics: It has a colorful aesthetic which boasts futuristic designs of beyblades and smooth animations that achieve spectacular effects of attacks. Sound: Although simple, the soundtrack is exciting and adds excitement to the battle. Game play: Besides having dozens of types of spinning tops and pieces to personalize, it also allows you to use the camera to scan your actual Beyblade to use in the game. Controls: Touch the screen and icons to decide when and what power you will use to defeat the opponent. Useful Tips: Organize your Beyblades between attack, defense and agility to avoid problems during the battle. 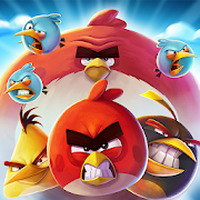 Developer: Hasbro Inc. is based in United States	- Verified developer. Do you like BEYBLADE BURST app?